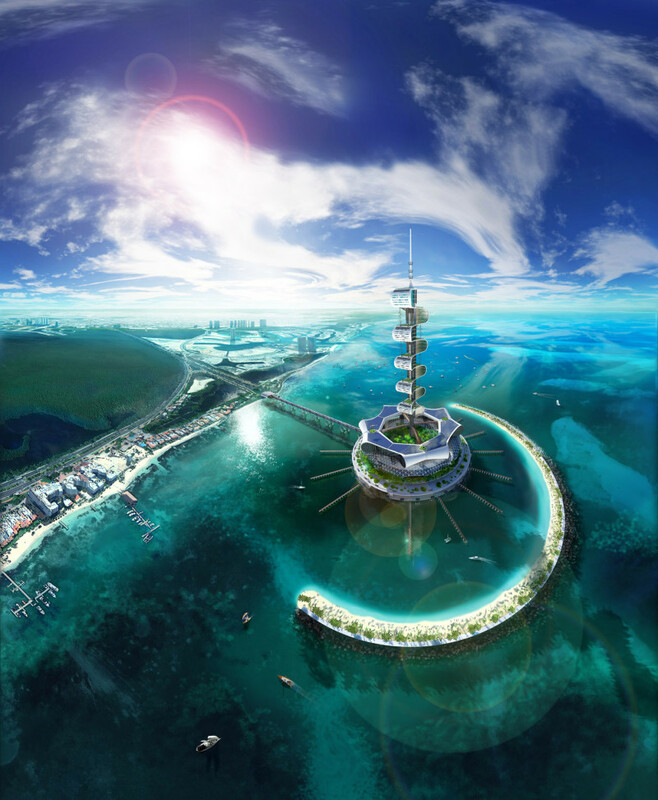 The eco island is the next step in noninvasive architecture that actively improves the environment. 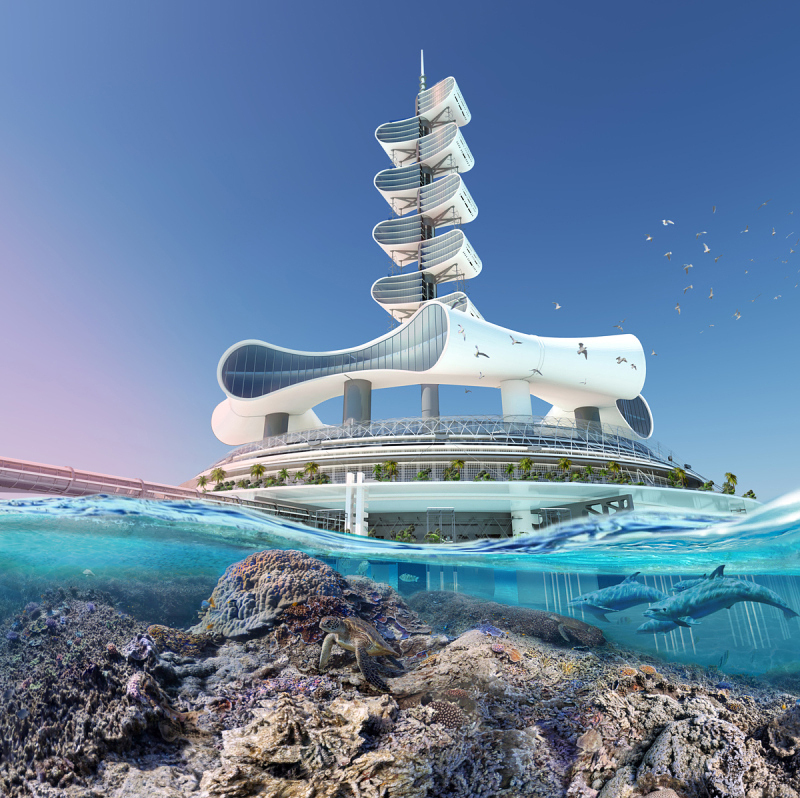 To commemorate the 50 th anniversary of Cancun’s development into a worldwide tourist destination, designer Richard Moreta Castillo has envisioned the Grand Cancun eco-complex – a multifunctional offshore eco-platform with luxury resort facilities – expected to be completed in 2020. Grand Cancun will be a mega-building, an offshore city standing on stilts where hotels, commercial centres, convention centres, cinemas and loads more will provide the ultimate experience in hospitality while cleaning the seas, being totally self sufficient, having zero-carbon-footprint, and providing drinking water and energy for the city from renewable resources. Grand Cancun will provide part of the city`s needs with clean, local renewable energy. Solar panels will cover most of surfaces, including see-through photovoltaic polymers on the dome. 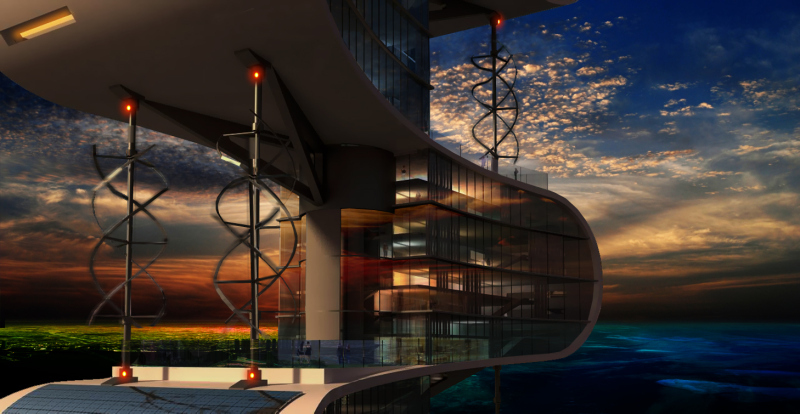 Every residential block on the tower will have vertical wind turbines and solar panels. 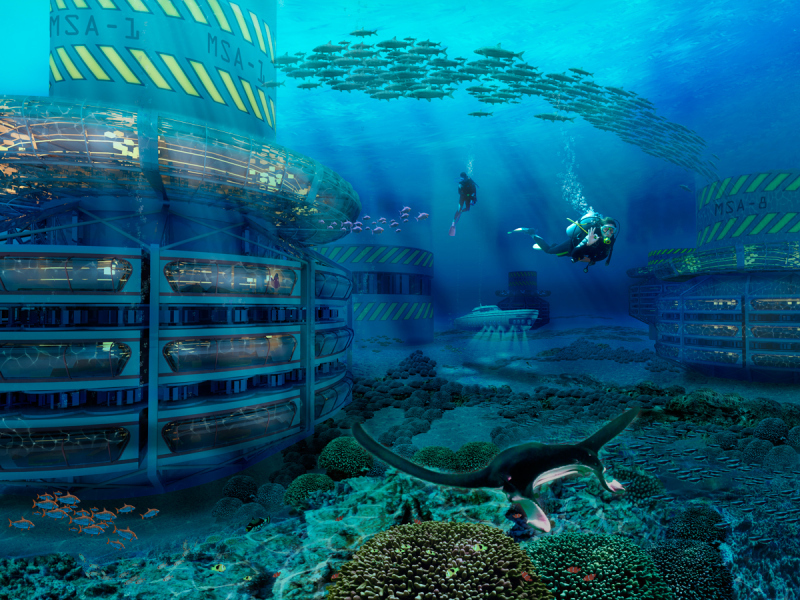 Underwater there are systems of tidal and wave energy collectors. All rain water will be collected and reused. Wastewater is not wasted! It will be purified and reused for gardens. A large inverse-osmosis desalination plant will provide drinking water for all the users of the complex and some for the city. But the most interesting thing is that it will clean the seas. 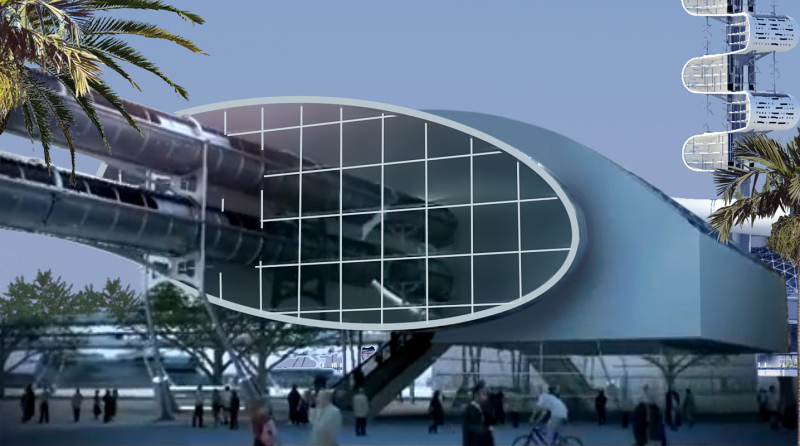 The shape of the building, its private beach and waterfront, and the coast will direct water right through waste collectors for floating solids and hydrocarbons. The water will be also nourished and purified to increase marine life. Above the water everything is planned to care about the environment, and about motivating people to share the responsibility.